Presenting a new high-end tequila on the market – even if you are George Clooney and his partner – demands outstanding packaging that communicates quality, desirability, and attracts the eye of a tequila buyer. 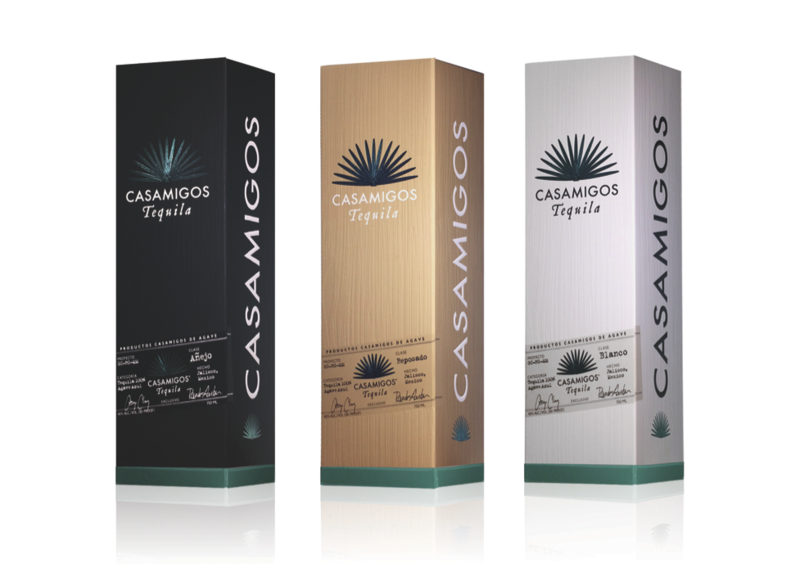 The Casamigos tequila folding cartons were produced on a one-of-a-kind press, Press384 that has three coating units and eight print units that were used to apply soft touch, gloss UV, dull varnish and PMS colors. The folding cartons also featured pre and post foil stamping to spotlight the signature agave leaves. The design was completed with artful embossing that rendered a realistic, aged, wood-grain look and a textural appeal that stimulated all the senses. The YANA line was a new product launch for Image Skincare. This award-winning design was crafted to have an overall rich, luxurious look and feel, with a very signature pearl effect. To achieve the pearl look in the most cost-effective way, the JohnsByrne team employed their one-of-a-kind press, Press384 that has an upfront coater unit where the pearl coating was applied. Having this technology and option eliminated the need for more costly options such as special ‘pre-pearlized’ sheets. 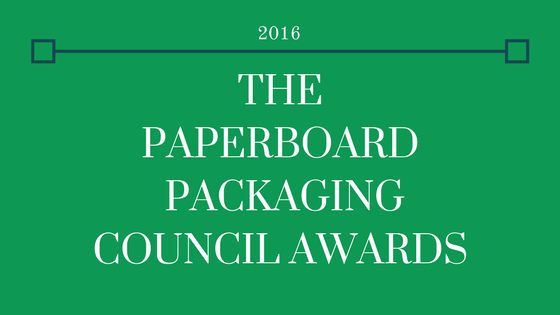 The resulting carton has the appearance of the most luxurious, high-end brands, with a subtle pearlized finish, silver foil stamping, and perfectly registered logo embossing. The Basil Hayden Limited Edition rigid set box was produced for Beam Suntory. This promotional VAP was released for the holidays and contained the premium Basil Hayden bourbon bottle along with a copper shaker that together creates the perfect imagery of a great night with friends. 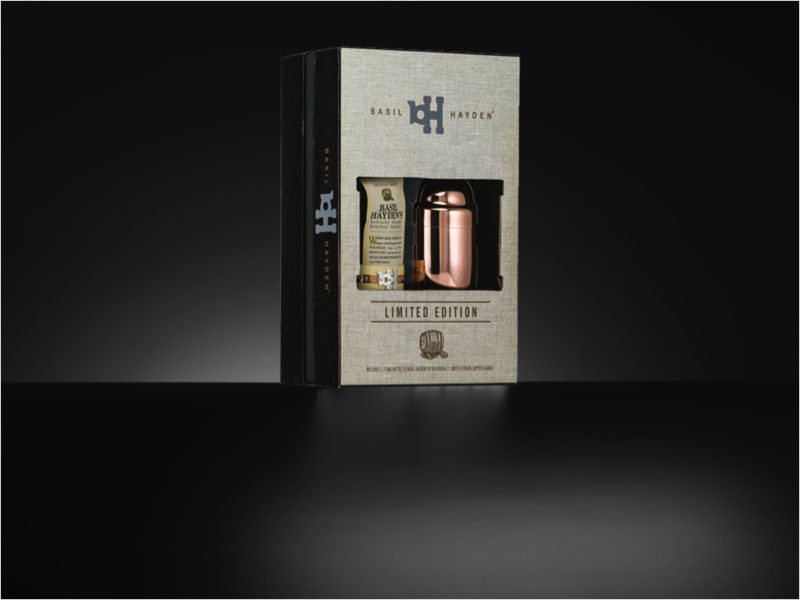 The copper shaker was chosen to match the copper band on the bottle’s labeling and the Basil Hayden logo (on box) was foil stamped with that exact copper color to provide perfect brand continuity. The realistic and savvy linen pattern on the box was executed on-press through reticulation which alleviated the need for consideration of an expensive stock paper wrap. 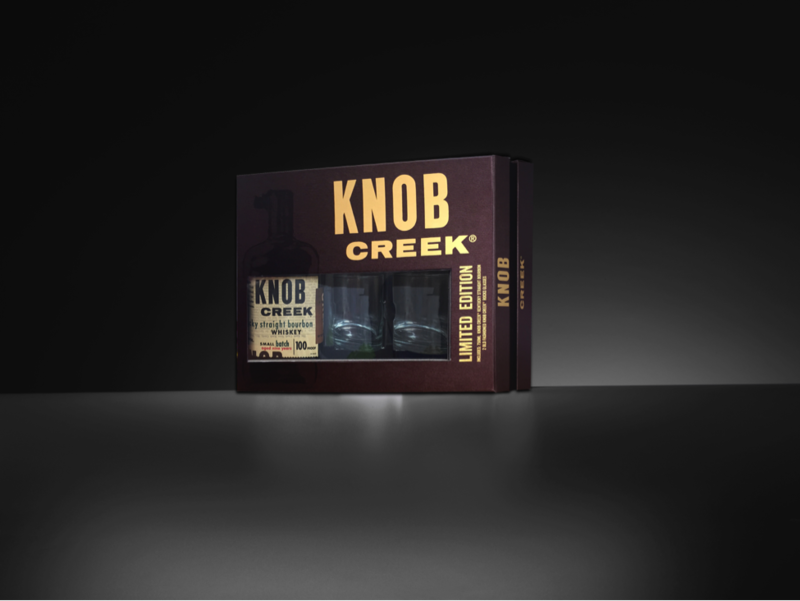 The JohnsByrne team was invited for a second year to develop and produce a rigid package for the premium Knob Creek brand. The two-piece telescoping VAP with window design needed to accommodate both the bottle and two limited edition old-fashioned rocks glasses. The package presented the classic look of the old west and featured a clever‘ drop card’ (inside the box) printed with an antique newspaper pattern that resembles the Knob Creek label. . The special challenge of this project was to precisely register the wood grain embossing around the Knob Creek logo and type copy. The final product was perfectly executed, had a rustic appeal, and was covered in subtle embossing for a pleasurable tactile experience geared to entice and engage customers. 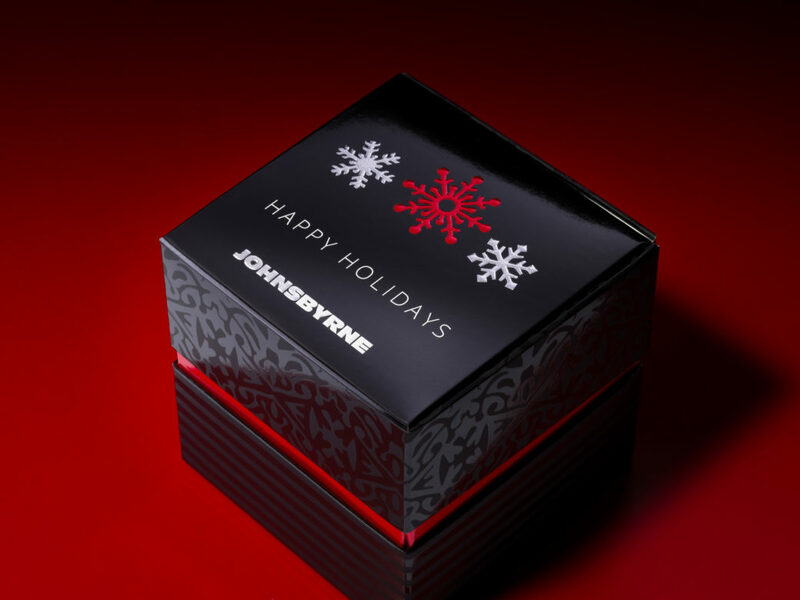 Every year, the JohnsByrne team celebrates the holiday season by developing an innovative and memorable gift box that is given to clients, partners and friends. This annual gift box project capture the year’s newly discovered innovations in technology, structure and finishing’s and allows us to press the limits. The gift box was designed with three coatings; pearl, UV gloss and soft touch that were printed in a single-pass on our triple coater press, Press384. Through the single-pass process, the upfront pearl with UV gloss over top resulted in a reticulation reaction that produced a new ‘raised glitter’ effect that eliminated the need for a planned glitter coating. Rich blacks and reds on mylar captured the holiday mood and season. 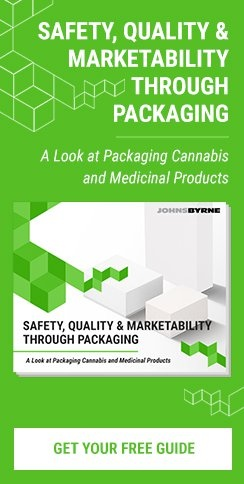 Want to see more packaging? Check out our work gallery!